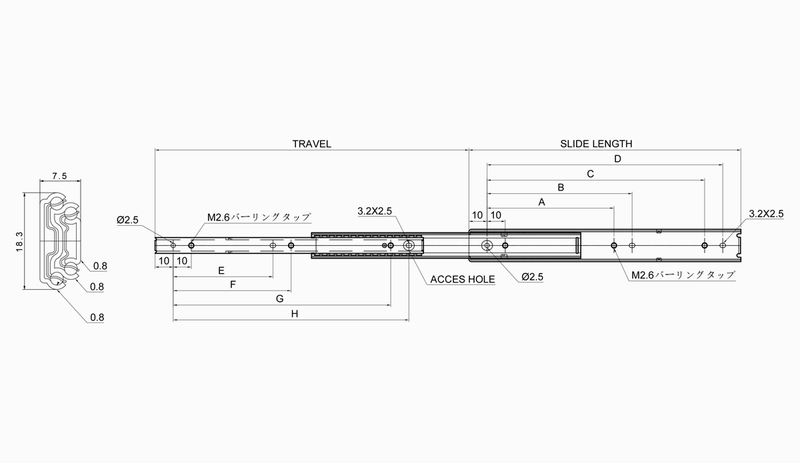 - Rail thickness is just 7.5 mm. 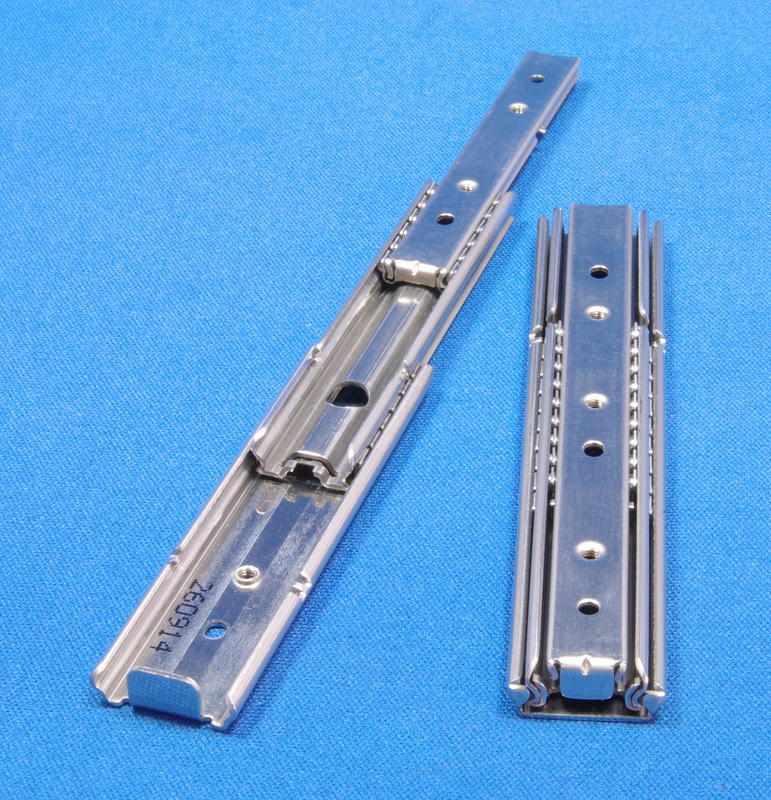 Compact overtravel type of slide rail with a focus on slimness. - Both draw-out and closing have a cycle repair (ball creep repair) mechanism, reducing brake-stop (ball stop due to frictional resistance) at start of operation. *Because both inner and outer members are trapped, screw processing for the rail mounting unit is not required. As well, mounting is possible using the rail hole and elongated hole.